Image from CA Oil, Gas & Groundwater Program. Click photo for link. It is the leading hypothesis of state researchers that gases found in water wells on the Oxnard Plain are linked to oil and gas extraction activity in the area. “That is the leading hypothesis, why we see what we see,” said Matthew Landon, Program Chief of the California Oil, Gas and Groundwater Program (COGG), part of the United State Geological Survey (USGS) California Water Science Center, conducted in cooperation with the California State Water Resources Control Board. https://ca.water.usgs.gov/projects/oil-gas-groundwater/. He is manager of the program conducting the study and a co-author of the findings. Celia Rosencrans, a USGS hydrologist is the lead author. Landon is referring to preliminary findings revealing the presence of gases associated with petroleum in three wells in the Oxnard Plain and the sources of those gases. Gases in two of the wells are likely the result of natural migration, whereas Landon said it is likely for the third well, the gases will be found to be linked to the oil and gas extraction activities in the area. “But [we] can’t confirm right now," said Landon, adding that further analysis is needed to confirm whether the gases in one of the water wells are present due to natural migration or from leaks associated with oil and gas extraction activities in that area. He expects those results this spring (2019). This study is part of a statewide program resulting from state legislation (SB4) with a goal of taking a broad look at oil and gas extraction and groundwater impacts. Gases found in the Oxnard water wells include methane and propane, and data confirm these thermogenic gases are associated with petroleum sources – not from microbial processes. Landon said, “isotopic” measurements and ratios confirm the gases in these three wells are associated with petroleum and there are two potential pathways for such gases to find their way into groundwater aquifers and water wells. The next step is to determine which pathway the gas took to get into the water wells. The two pathways are either “a leak from the oil and gas zones” or from a “preferential pathway [including] a compromised [oil] well casing or a long abandoned well.” Landon said sometimes the “annular space [of an oil well] is not completely sealed,” and results in leaks. In the case of a leak from the zone, this is deemed a natural migration from the formation that has held the oil and natural gases for millions of years, migrating over time. Landon explained those gases are “usually” found with “high [amounts of] organic compounds,” which are associated with the briny water mixed with the oil and gas naturally underground. This is the case in two of the wells on the Oxnard Plain, and so the likely pathway for the gas in those wells is a natural migration from the oil and gas formation. But in the third well, Landon said there was a “high concentration (compared to other wells in the study area) of only thermogenic gases” and none of the microbial gases from natural processes in the aquifer. “While the source of the thermogenic gas in the one well could be the result of natural migration, or flow path, the most common pathway, in the absence of the brine [oil field water] water is from oil extraction activity, [including] casing failure,” said Landon. For the one well with only thermogenic gases further study of data is needed to confirm the source of the gas. That data has been collected and the research team is awaiting the results. The process involves analyzing the “noble gas signatures” in the samples. Landon said those results are expected this spring (2019). No reports or data from the first portion of the study have been released to the public. The findings are in the peer review process and will be released when complete. Tomorrow, Tuesday, April 9 at 3:00 the Ventura County Board of Supervisors will consider a proposal to pass a 45-day ban on new oil and gas drilling and re-drills of existing oil wells using cyclic steam in areas that overlie groundwater aquifers used for drinking and irrigation. Antiquated oil and gas permits were granted decades ago, prior to the California Environmental Quality Act (CEQA) being approved and usually have no expiration date - meaning the County does not get an opportunity to review the permits or conduct modern environmental review - or have a limit to the number of oil wells that can be drilled. The proposal letter cites the USGS preliminary findings, and refers to a current pending project for 79 new cyclic steam tar sands wells on the Oxnard Plain as support for the emergency action. A super majority vote of four of the five Supervisors in favor of the action is needed to approve the temporary ban. Link to agenda for proposal and public written comments submitted – Item #46. 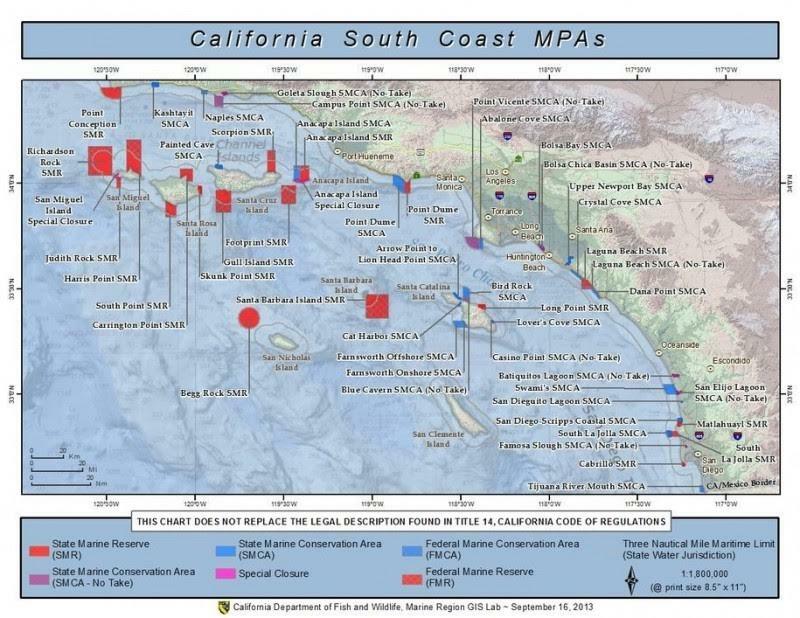 ​The map below shows the fragmented areas of MPA's created by the group chaired by Reheis-Boyd, president of Western States Petroleum Association. Following what environmental groups say was a flawed impacts study, the Federal government has paved the way for fracking to resume in ocean waters off the coast of California. A fracking moratorium had been in place following a lawsuit filed by the Center for Biological Diversity (CBD) but on May 27 the U.S. Bureau of Ocean Energy Management (BOEM) issued a finding of "no significant impact" from enhancing extraction methods - including hydraulic fracturing - fracking - from platforms off the California coast. HERE is the information on the BOEM website. ​In response to that finding CBD issued a statement saying a suit is likely. 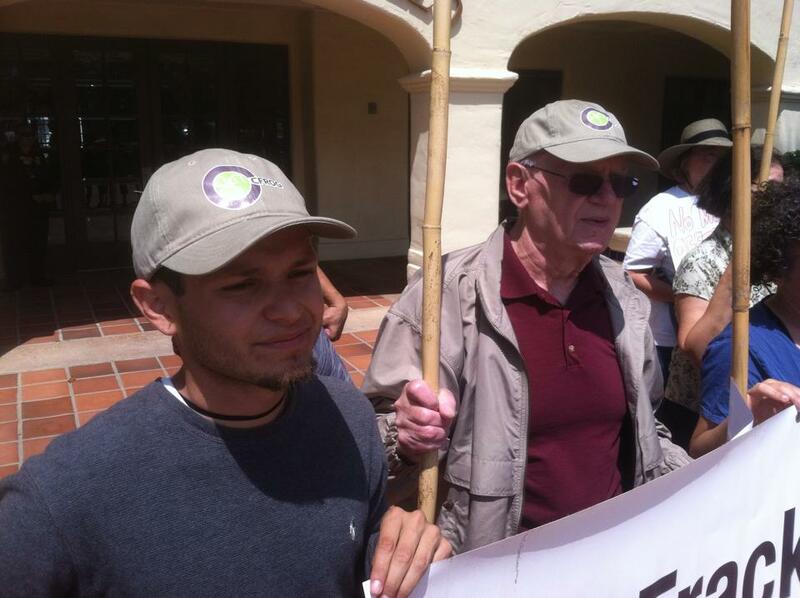 Ventura County residents and organizations recently protested outside of the Camarillo offices of the BOEM to oppose fracking in California's ocean waters. fundamental flaws in the federal government’s first ever environmental analysis of fracking and acidizing from offshore oil platforms in southern California, including the Santa Barbara Channel. In response to the Bureau of Ocean Energy Management’s (“BOEM”) and Bureau of Safety and Environmental Enforcement’s (“BSEE”) draft programmatic environmental assessment (“draft PEA”), the comment letter states the federal agencies’ analysis overlooks potentially significant impacts, such as harmful impacts of toxic discharges of frac flowback fluid on the marine environment or extending the life of oil platforms, and requests that the agencies conduct more comprehensive environmental review. Maggie Hall, staff attorney with the EDC told VC In Focus their report focuses on all 23 platforms in the waters off of Santa Barbara and Ventura Counties. ​The draft assessment is a hard fought requirement of EDC’s recent lawsuit settlement with BOEM and BSEE, and is the agencies’ first attempt at studying the significant risks that these practices pose to water and air quality and the many endangered species within the Santa Barbara Channel, including blue, fin, and humpback whales, and the southern sea otter. Unfortunately, as EDC and Surfrider’s letter demonstrates, the draft analysis falls far short of legal requirements in several critical respects. “The unknown cocktail of toxic chemicals used in offshore fracking and acidizing pose a tremendous threat to the local environment at every point of the practice, from transportation to platforms, injection into wells, and discharge of the frac fluids into the open ocean,” said Maggie Hall, Staff Attorney with EDC. “The Santa Barbara Channel is an invaluable resource that supports numerous species of marine wildlife, as well as our local tourism, recreation, and fishery industries. Any consideration of offshore fracking in our waters must address the significant potential environmental and economic impacts of this activity. The Environmental Assessment by BOEM and BSEE failed to do that, said Amanda Winchell, the California Coastal Policy Coordinator with Surfrider Foundation. The draft PEA concludes, almost without exception, that offshore well stimulation will have no impact whatsoever, on: air quality; water quality; geologic resources/seismicity; benthic resources; marine and coastal fish and essential fish habitat; marine and coastal birds; marine mammals; sea turtles; commercial and recreational fisheries; areas of special concern; recreation and tourism; environmental justice; and archeological resources. However, the agencies’ conclusions lack scientific support. The draft PEA unlawfully implies the agencies have an obligation to allow these well stimulation techniques, when in fact their obligation is to the public to ensure a thorough and complete analysis of environmental risks before deciding whether or not to allow such activities. The agencies’ analysis of alternatives is extremely narrow and does not include an alternative that would meaningfully restrict well simulation to preserve the environment. The draft PEA suffers from missing information and numerous data gaps, including the toxicity and impacts of chemicals utilized in the process. The agencies fail to adequately address indirect impacts, such as extending the life of existing oil platforms and associated risks. The PEA fails to analyze the added impact that these practices have when combined with impacts we are already experiencing from other oil activities in the area, such as the Refugio Oil Spill. The agencies reach the baseless conclusion that prohibiting offshore well stimulation will have greater impacts than allowing it, due to unfounded speculation about resulting increases in drilling onshore or increased import of oil and gas. Prepared under the federal National Environmental Policy Act (“NEPA”), the draft PEA is a preliminary step in analyzing and disclosing the impacts that result from enhanced drilling activities such as fracking and acidizing. 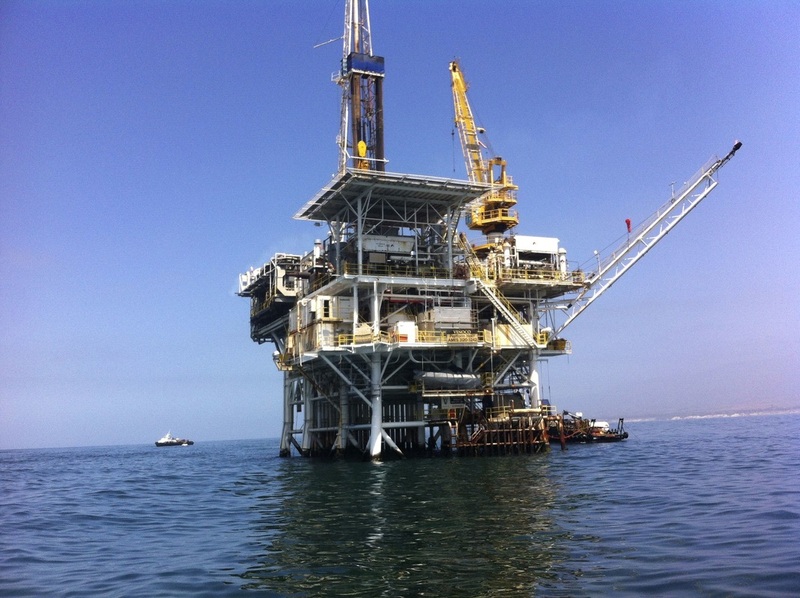 Contrary to available information, the document summarily concludes that offshore fracking and acidizing from the 22 southern California offshore oil platforms has had and will continue to have no environmental impact. EDC and Surfrider’s letter explains that, in fact, offshore well stimulation does pose a risk to the environment and, as such, the agencies are required to prepare a more detailed Environmental Impact Statement (“EIS”). Under EDC’s legal settlement, the agencies must issue the final environmental review document by May 28, 2016, and have placed a moratorium on the issuance of drilling permits that allow well stimulation until the process is complete. “The current moratorium on offshore well stimulation should remain in place until the agencies have completed a robust environmental analysis that takes a true ‘hard look’ at impacts, as the law requires,” said Maggie Hall. In addition to the environmental review process, under the settlement, BOEM and BSEE have also committed to developing an electronic filing and public notification web site for offshore drilling permit applications, and must post completed applications to the system within five days. 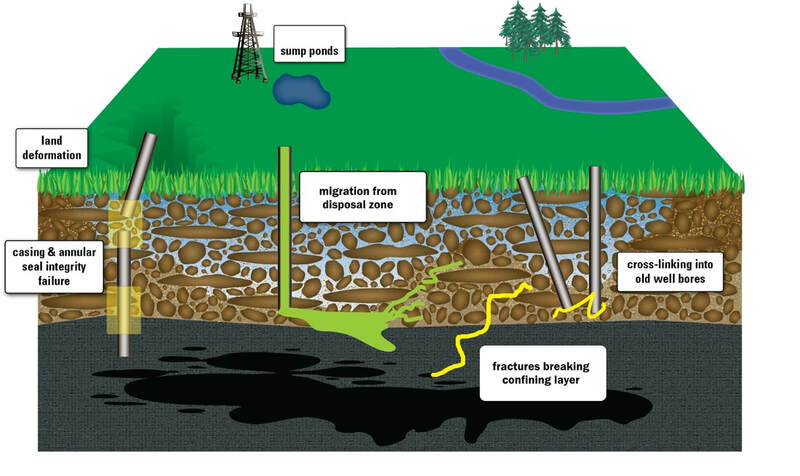 Acidizing and fracking are both dangerous oil production processes involving the injection of large amounts of water and chemicals into the ground in order to fracture or dissolve rock. In both processes, many chemicals remain undisclosed under “trade secret” laws, but are known to pose risks at all stages of use, from transportation to and from the platforms, to disposal of such chemicals through underground injection or direct discharge to the ocean. More information can be found in EDC’s Dirty Water: Fracking Offshore California report. The comment letter can be viewed on EDC’s website. Environmental Defense Center, a non-profit law firm, protects and enhances the local environment through education, advocacy, and legal action and works primarily within Ventura, Santa Barbara, and San Luis Obispo Counties. Founded in response to the 1969 Oil Spill more than 40 years ago, EDC has represented itself and other organizations to advance environmental protection. Program areas include protecting coast and ocean resources, open spaces and wildlife, and human and environmental health. Learn more about EDC at www.EnvironmentalDefenseCenter.org. The Surfrider Foundation is a non-profit grassroots organization dedicated to the protection and enjoyment of our world’s ocean, waves and beaches through a powerful activist network. Founded in 1984 by a handful of visionary surfers in Malibu, California, the Surfrider Foundation now maintains over 250,000 supporters, activists and members worldwide. For more information on the Surfrider Foundation, visitwww.surfrider.org. Last night the Ojai Valley Municipal Advisory Council (MAC) reviewed a project proposed by Santa Paula based Mirada Petroleum at the Agnew Lease, off Koenigstein Road in Upper Ojai. View the project information HERE. The MAC took no action on the project, the meeting was labeled a "public forum." 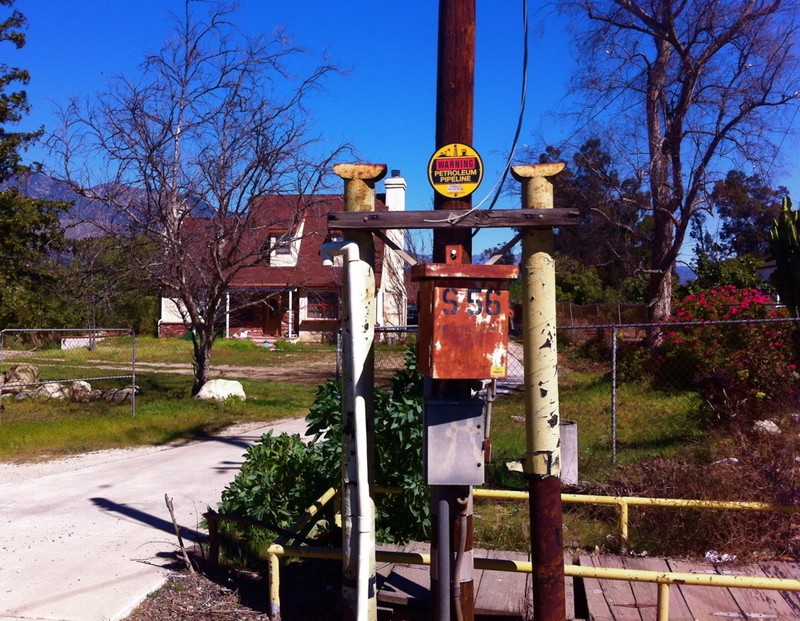 The MAC is an advisory group that reviews and comments on projects in the Ojai area. Tonight the project will be reviewed by the Ojai City Council, 7 p.m. in the Council Chambers at City Hall, 401 S. Ventura Street, Ojai, CA 93023. County planning is taking this project before the MAC and city council following a map error. The error was detected by the watch dog group Citizens for Responsible Oil and Gas (CFROG). County officials say the error, which showed the project being outside the boundaries of the Ojai Valley Area Plan (OVAP), was a simple mistake and they are re-examining the project per the parameters of the OVAP. County planners and CFROG members are in disagreement about how certain air quality standards should be applied to the project. CFROG says the stricter rules laid out in the OVAP are not trumped by the wells being permitted by the Ventura County Air Pollution Control District (VCAPCD), whereas County planning staff state because the new wells would be permitted as part of the APCD emission reduction program the well emissions are not included in the overall project emission calculations per the OVAP. CFROG is not calling for a denial of the project, but further study and a full environmental review under the California Environmental Quality Act (CEQA). CFROG members called for the full engagement of the public process - that is the cornerstone of CEQA - providing all data, testing and evidence used to make determinations to the public, so folks can see the methodology behind the findings. Last night, Ojai resident Russ Baggerly said to the MAC, "the General Plan is the law of the land," he said "it is illegal" for any guidelines to be in conflict with the General Plan and he viewed the exclusion of air emissions of these wells, even if permitted by the APCD to be in conflict with the General Plan. He pointed to a section of the OVAP which states, "The Planning Division will amend the County Initial Study Guidelines so that the Ventura River Municipal Advisory Council and the City of Ojai will have review authority over all projects in the Ojai Valley Airshed that emit more than 5 lbs./day of NOx and/or ROC." Baggerly pointed out that had not been done, and it makes no mention of exempting emissions when permitted by VCAPCD. Another part of the project examines truck traffic and the use of Koenigstein Road, which is currently prohibited in the Conditional Use Permit (C.U.P.). Mirada is seeking to modify the C.U.P to allow use of the Koenigstein Road. The route allowed in the current permit, which travelled through the nearby Ojai Oil lease, was washed out in a flood in the 90's. Since then Mirada, and other oil companies, have been using Koenigstein Road in violation of their permits. Local residents say it should not be allowed with out further study, the intersection at Highway 150 is to small, with blind curves and too much traffic. County staff said it has been studied, and deemed to be safe, because of the nearly 4,000 truck trips that have occurred with no accidents. When the C.U.P was modified in 1983, the Board of Supervisors found truck traffic at that intersection to be unsafe and therefore made it prohibited. The OVAP states, "Conditions applied to conditional use permits for oil and gas exploration and development will be enforced to the maximum extent feasible in order to protect the health and welfare of the citizens and the character of the Ojai Valley." (Programs, Sect. 1.3.3 under Mineral Resources). The Ojai City Council also has review and comment authority. GIS Map, showing all active, idle and cancelled wells. Excludes buried and abandoned wells. There are 210 Active oil wells in the Ojai Oil Field, which stretches from the Upper Ojai Valley through the lower Valley to the area near Casitas Springs. Created by Vickie Peters, Geojournalist. Used with permission. This case involved a mapping error caught by Citizens for Responsible Oil and Gas (CFROG). County planners said their office made the mistake, and put the project outside the boundaries of the Ojai Valley Area Plan, when in fact the project lies within those boundaries. Project within the boundaries of the Ojai Valley Area Plan require review/comment opportunity from the city of Ojai and other environmental review standards such as air quality impacts. Monday, March 21st, 2016, at 7 p.m. The Ojai Valley Oil Field from the California Division of Oil, Gas and Geothermal Resources well mapping site. Includes Upper and Lower Ojai. The California Division of Oil, Gas and Geothermal Resources (DOGGR) has fined the Los Angeles based Termo Company (which also operates well in Ventura County) $75,000 for three violations stating, "noting that not only did the gas venting appear to be intentional, but also that the operator tried to hide it." ​"once the pipeline was discovered, Operator destroyed the evidence of its existence before division personnel could fully inspect it. The brazen nature of this violation shows that Operator held little to no regard for the statutes and regulations or, more importantly, public health and safety." 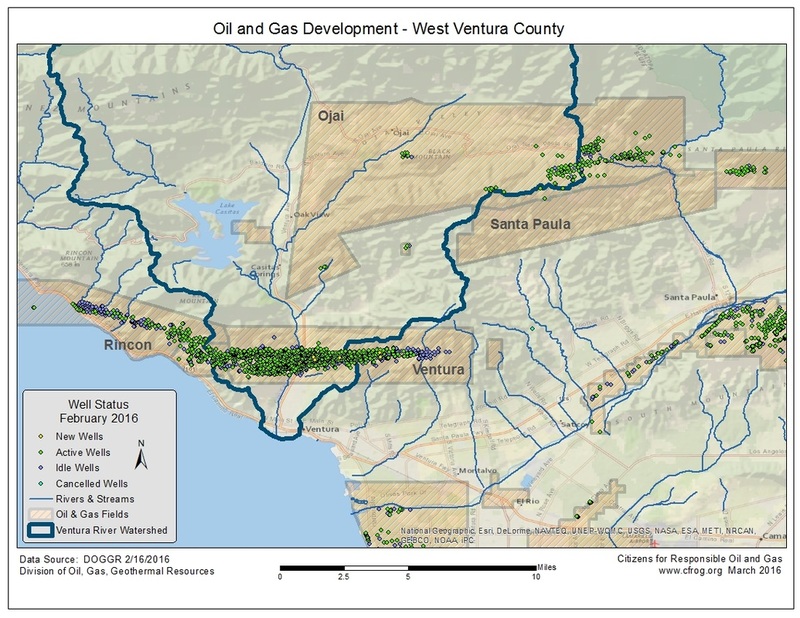 The Termo Company operates 51 wells in Ventura County, in the South Mountain (Santa Paula area) and Ojai Oil Fields. From the Termo website - "Termo operates in two fields in the Ventura Basin with over 1,000 net acres and 24 wells producing approximately 385 BOEPD. The Sulphur Crest Field is a complex faulted anticline. Due to the complex faulting updating the geologic interpretation to incorporate new data has resulted in additional development opportunities." LOS ANGELES – State regulators have issued a $75,000 civil penalty order to The Termo Company for illegally venting natural gas in the Aliso Canyon field. The California Division of Oil, Gas, and Geothermal Resources levied $25,000 penalties for each of three violations, noting that not only did the gas venting appear to be intentional, but also that the operator tried to hide it. The leak was discovered when the Jet Propulsion Laboratory and South Coast Air Quality Management District flew over the field on January 23 with a forward looking infrared (FLIR) camera. Oil and gas division personnel were dispatched to the site to find the source of the leak. The source of the leak was the terminus of a pipeline measuring approximately 2½ inches in diameter. 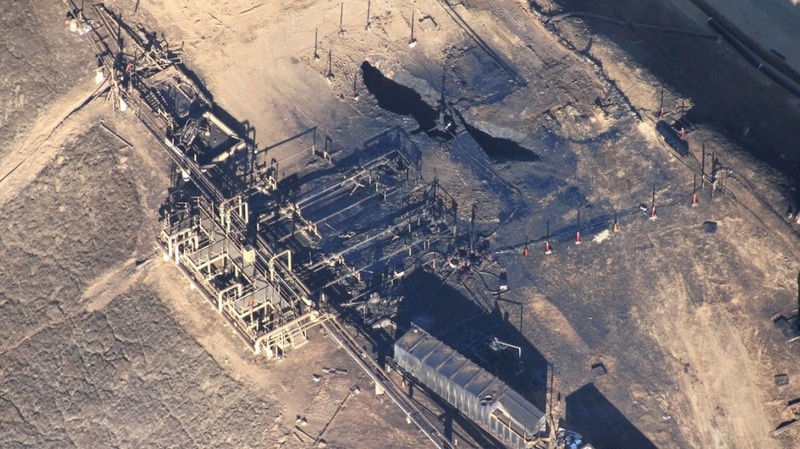 A Termo employee advised inspectors that the pipeline was part of an emergency relief system and was being used because the natural gas Termo produces along with oil could not be transmitted to the Southern California Gas Company’s storage facility. Injection has been halted into the Aliso Canyon field under Division orders until all the wells have been tested. The operator closed a valve on the pipeline in question, which diminished but did not halt the flow of gas. Division inspectors returned on January 28 to find that the operator had removed the pipeline, which had been connected only to the wellhead, indicating the venting was intentional. Termo was cited for three violations: unreasonable waste of gas, improper disposal of oil field waste, and failure to maintain and monitor the production facility. The Division is continuing to investigate the incident, and additional findings of violations are possible. It is unclear how long the venting occurred or how much gas was vented. Current law caps the penalty amount the Division can assess at $25,000 per violation. Assembly Bill 2756, jointly authored by Assemblymembers Tony Thurmond (D-Richmond) and Das William (D- Santa Barbara), would allow the Division to substantially increase civil penalty amounts for regulatory violations. The bill is currently being considered in the Legislature and has the support of the Division. The Division, part of the Department of Conservation, oversees the drilling, operation, maintenance, and plugging and abandonment of oil, natural gas, and geothermal wells in California. The regulatory program emphasizes the wise development of oil, natural gas, and geothermal resources in the state through sound engineering practices that protect the environment, prevent pollution, and ensure public safety. Google Earth Image of Aliso Canyon Oil Field Facility.